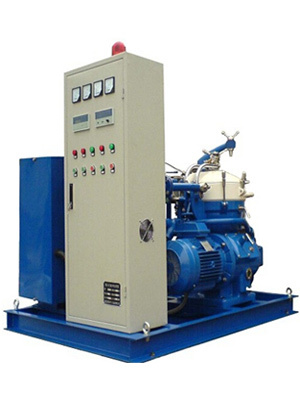 CSP series oil purifier adopts advanced coalescence separation technology, and can rapidly remove water contents from various kinds of oil without heating. 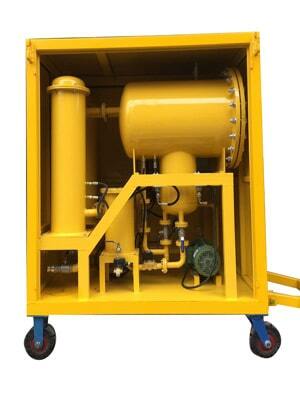 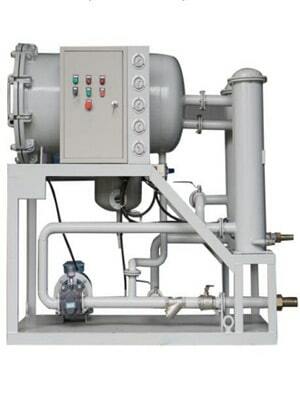 Therefore, the CSP Oil Coalescence Separation Purifier is especially suitable for conditioning fuels such as diesel, kerosene, etc, and besides the light oils, CSP oil purification system is also often used to keep turbine oil clean and dry. 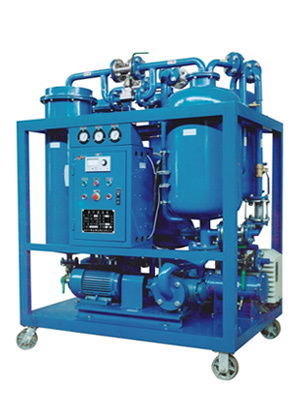 Water contents and foreign particulates find their way into turbine oil during storage and operation, and these containments cause oxidation process, which in turn produce sludge and varnish to accumulate in the turbine system. 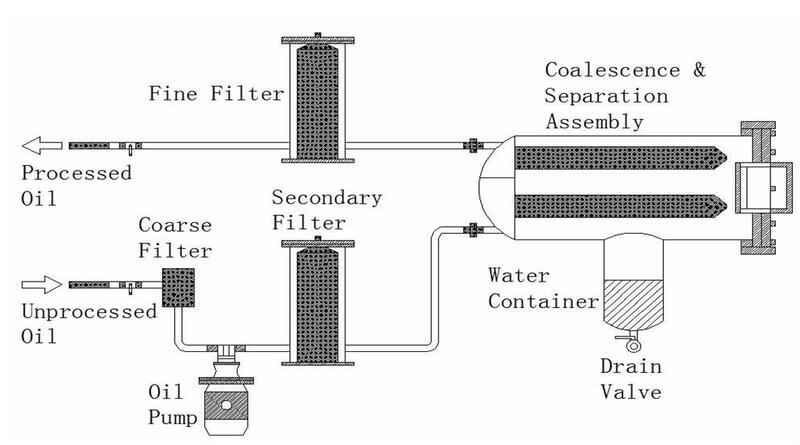 The solution is to keep oil clean and dry, and equipped with high efficiency coalescence & particulate filtration element, our CSP oil coalescing purification system can rapidly remove water and solid contaminants from oil. 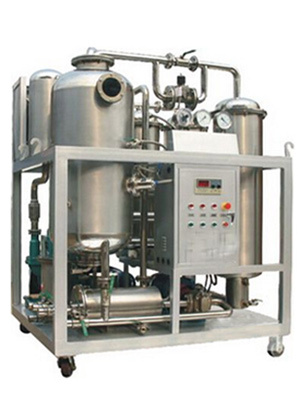 For oils that contain high water contents, the separation efficiency of CSP Coalescence Separation Oil Purifier is much higher than centrifuge or vacuum type oil purifier.